English Gardner moves up to all-time US #12 with 10.84 in Eugene!!!! Eastern High graduate English Gardner, now in her second post-collegiate season, continues to prove she’s one of the best sprinters in the world. Gardner ran a blistering 10.84 to win the 100-meter dash Saturday at the Prefontaine Classic at Hayward Field at the University of Oregon in Eugene, where she ran her college track. Gardner won one of two sections of the 100. At the time she crossed the finish line, her time was No. 1 in the world in 2015. Moments later, Olympic gold medalist Shelly-Ann Fraser-Pryce won a different section of the 100 in a world-leading 10.81, leading two others also under 10.84. But the performance was huge for Gardner, whose best time last year was 11.01. She lowered her PR from 10.85, from when she won the 2013 U.S. title in Des Moines. Gardner, who lost her senior year at Eastern after getting hurt in a Powderpuff Football game, now finds herself No. 4 in the world, with the top six times all coming from Eugene Saturday night. She’s also No. 2 among Americans, behind Tori Bowie, who ran 10.82 for third in the other 100 final at the Prefontaine meet. Here’s a link to the all-time world list, and the 2015 world list is here. Gardner will be one of the favorites in the 100 at the U.S. Championships back at Hayward Field in Eugene June 25-28. 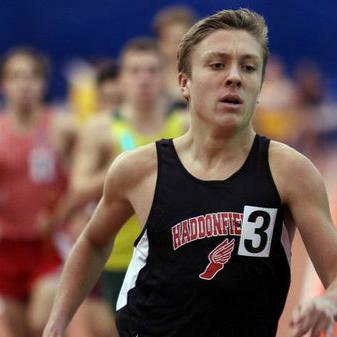 Astonishing distance performance lifts Haddonfield boys to state title!!! Haddonfield’s Greg Pelose ran 1:54 and 4:15 at Group 2 states. Three half-milers at 1:56 or faster? Three milers at 4:20 or better? A meet record in the 4-by-8? A third place in the 3,200? The Haddonfield boys roared to their fourth outdoor Group 2 track state championship in seven years Saturday at South Plainfield, and they did it largely on the strength of an absurd performance in the longer track races. Final team scores are still not available, but it appears that Haddonfield scored 38 of its 49 points in the 800, 1,600, 3,200 and 4-by-8. 800-METER RUN: An incredibly fast race, with 17 runners under two minutes — including five from the unseeded heat — and 12 under 1:57. That’s insane. In fact, last place — last place — was 2:01.89. As for Haddonfield, junior Austin Stoner ran 1:54.63 for third, junior Greg Pelose was fourth in 1:54.93 and senior Jack Wood ran seventh in 1:56.07. Pelose has run 1:54.54, but the times were PRs for both Stoner and Wood. Stoner and Wood had both run their previous PRs at the Haddonfield Invitational, 1:54.98 for Stoner and 1:57.29 for Wood. Pelose, Stoner and Wood now rank No. 2, 3 and 9 this year in South Jersey. They are ranked No. 6, No. 8 and No. 17 from the six state championship meets over the weekend. 1,600-METER RUN: Pelose won in 4:15.10, with Stoner fourth in 4:19.66 and senior Danny Brennan sixth in 4:20.31. All three times are PRs of at least two seconds. Pelose’s previous fastest 1,600 was a 4:17.41 at the Cherokee Night of Racing. Stoner’s was a 4:24.55 dating back to the Haddonfield Invitational last year, and Brennan’s was a 4:22.86 at this year’s Haddonfield Invite. Pelose’s time is No. 11 out of all the state meets this weekend. 3,200-METER RUN: Senior Chad Evans ran 9:39.05 for third place on a hot afternoon at South Plainfield. He ran a few seconds faster — in much better conditions — at the Cherokee Night of Racing. 3,200-METER RELAY: Stoner, Wood, Pelose and senior Chris Goings won by 30 meters over Pleasantville in 7:53.27, not far off their season-best and South Jersey #1 7:52.11 from sectionals. The Bulldogs broke the meet record of 7:58.43 set last year by a Haddonfield that included Pelose, Stoner, Goings and John Greenberg. The Bulldogs’ 11 other points came in the field, from Jake Walter (third, shot put, 52-7 1/4), Kevin Wolf (fourth, discus, 152-3) and Ian Picking (sixth, pole vault 13-0). Haddonfield’s previous state titles came in 1987 in Group 1 and in 2009, 2010 and 2011 in Group 2. Historic triple by Pierce leads Rancocas Valley to first state title!!! A monster triple by Sterling Pierce carried Rancocas Valley to the first state title in the program’s long and storied history this weekend. Pierce was simply too good to be denied. He won the 100-meter dash in 10.76. He won the 200 in 21.77. He anchored the 400-meter relay team, which ran a New Jersey-best 42.20 and broke the meet record of 42.60, set last year by Sayreville. Rancocas Valley – a dead program before Jeff Dzuranin took over in 2013 — outscored Old Bridge, 47-36 to become the first Burlington County school to win Group 4 since Fred Rucker’s Lenape group 15 years ago. And the Villanova-bound Pierce became Burlington County’s first triple winner at states since Delran’s Todd Lowber in 2000 and the first in Group 4 since future Olympic gold medalist Lamont Smith won the 200 and 400 and anchored the winning 4-by-4 in 1991. For the sake of comparison, Pierce in one meet won more outdoor state titles than every Rancocas Valley boy in the previous 30 years combined. He’s the first R.V. boy ever to win two events (or three) at a state meet. Pierce — coached by R.V. sprint coach Eric Warren — was incredible, but this wasn’t a one-man show. Senior Zakiyy Williams placed second in the triple jump with a 46-6 3/4, senior Diante Bah tied his PR of 6-6 for fourth in the high jump, junior Robert Marks threw a personal-best 179 4 for fourth in the javelin and junior Isaiah Curbelo ran 1:56.26 for sixth in the 800. And junior JeSean Foster and seniors Shaun Ellis-Bradley and Dyson Scott joined Pierce on the winning 400-meter relay team. 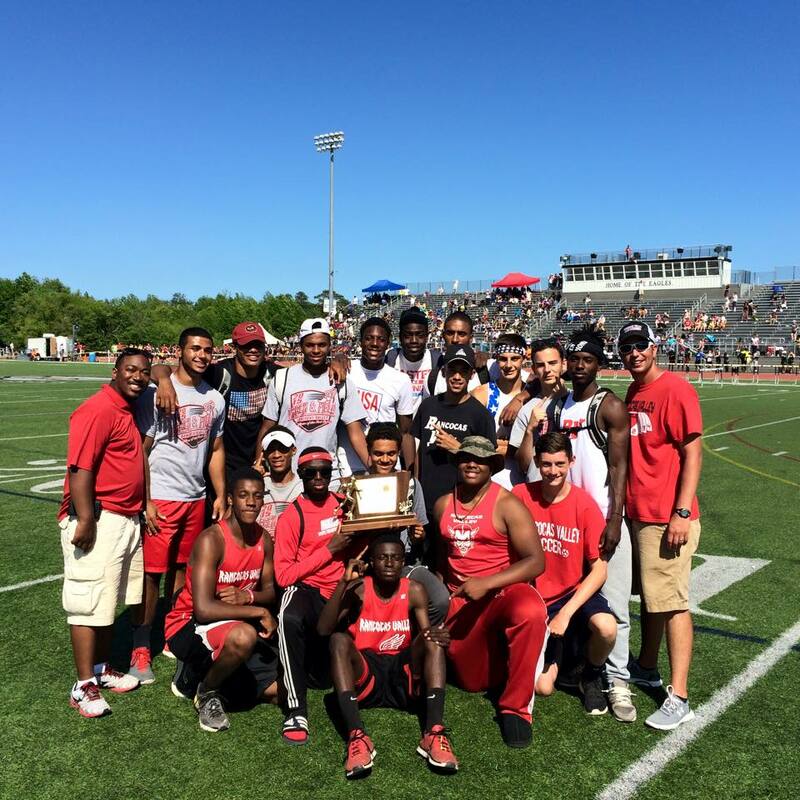 Rancocas Valley won every meet it entered this year – every dual meet, the Woodbury Relays, the BCSL and County Open, sectionals and states. Egg Harbor was second at Woodbury, sectionals and states. Finally, here’s a list of all the South Jersey schools to win the boys Group 4 team title. R.V. finds itself in pretty good company! * – Team title not officially awarded from 1968-1970. Kenny Brosier latest stud Willingboro intermediate hurdler! Haddonfield always has tremendous distance runners. Penns Grove always seems to have terrific high hurdlers. And Bridgeton always has terrific throwers. Willingboro is the same way with intermediate hurdlers. Kenny Brosier on Friday became the 10th Willingboro intermediate hurdler to run sub-54 seconds when he won the state Group 2 title at South Plainfield in a personal-best 53.86. No other South Jersey school is close to Willingboro in producing standout intermediate hurdlers. Here’s a list of the 10 Boro 400 hurdlers who’ve broken 54 seconds. The list includes Chauncey Lamar, who ran 53.7 for Kennedy in 1978. Brosier edged Deptford senior Shaqulle Dixon by about 1 1/2 meters to win the state title Friday. Dixon ran 54.03. Brosier has posted big PRs in his last two races. He took a PR of 55.06 from the Moorestown Invitational into sectionals, which he won in 54.48. For all of Willingboro’s 400IH tradition, Brosier is the first to win a state group title in the event in 21 years. Michael Bolling won the Meet of Champs in 2000 after placing second to Dwight Ruff in the state Group 4 meet. Ruff was called for a disputed false start in the Meet of Champs. Brosier on Friday also took fifth in the 400 in 49.71. Teammate David Miller was sixth in 49.96. With Tyler Davidson going 49.26 at the County Open, Willingboro now has three 400 guys under 50 seconds this year. With Brosier, Miller, Davidson and Tyshen Hernendez, Willingboro is the No. 4 seed in the 1,600-meter relay on Saturday. Oklahoma frosh Woodard reaches NCAAs with HUGE discus PR!!! Jessica Woodard couldn’t have picked a better time to turn in the best performance of her life. Woodard, a 2013 Cherokee High graduate and currently a freshman at Oklahoma, threw the discus a personal-best 176-8 to place 11th at NCAA West Regionals and qualify for the NCAA Championships. Woodard was seeded 28th with her previous PR of 173-0, set at the Rafer Johnson-Jackie Joyner Kersee Invitational last month at UCLA. The top 12 finishers from each of two regional meets this weekend advanced to the NCAA Championships June 10-13 at Hayward Field in Eugene, Ore.
Woodard was sitting in 16th place after throwing 167-9 on her first attempt and was in 21st place after fouling on her second throw. But she powered her way into the top 12 on her third and final attempt. She wound up qualifying by eight inches. Woodard is now the No. 5-ranked freshman in NCAA Division 1, behind Katelyn Daniels of Michigan State (193-9), Maggie Ewen of Arizona State (186-8), Josie Natrasevschi of Brown (183-9) and Agnes Esser of Minnesota (178-5). One other record Woodard broke Friday has stood for more than 26 years. That’s the Burlington County alumni record in the women’s discus. On May 6, 1989, Pemberton graduate Lillian Rivera, competing for Texas Southern in the Southwestern Conference championships in Houston, threw 174-6. That stood as the best throw ever by a Burlington County native. Ocean City’s Grisbaum taking on loaded field in 3,200 at states! Ocean City’s Devon Grisbaum racing at the Armory this winter. It’s been a long time since Ocean City’s Devon Grisbaum lost a 3,200, and she’ll face a loaded field Saturday when she shoots for a state Group 3 title. Grisbaum, the Meet of Champions winner indoors, ran the fastest 3,200 in New Jersey this year at sectionals, winning by over 90 meters with a 10:41.57. She wasn’t far off her PR of 10:39.15, set when she was sixth at Meet of Champions last spring. Even though she’s a Meet of Champions winner, Grisbaum has actually never won a state group title. But she’s been close. Grisbaum ran a very fast 18:33 at Holmdel at the state Group 3 XC meet, taking third behind West Morris Central’s Sierra Castaneda and Catherine Pagano of Northern Highlands. This winter, she ran 10;54 at indoor states at the Bubble, taking second to Grace Dwyer of Hamilton North, who ran 10:50. On Saturday, she’ll be one of five girls that broke 11 minutes at sectionals toeing the line at states at South Plainfield. Pagano is the No. 2 seed at 10:45.33, with Olivia Viparina of Roxbury (10:53.37), Castaneda (10:55.86) and Amanda Bakley of Pennsauken (10:59.56) also under 11 and Julia Guerra of Indian Hills (11:00.51) and Dwyer (11:01.57) very close. Grisbaum hasn’t lost a 3,200 since indoor states. 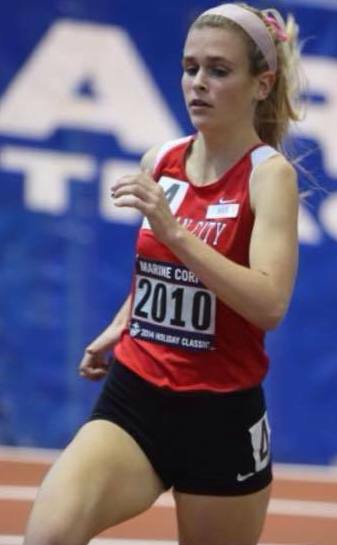 She holds the Cape May County and the Cape-Atlantic League outdoor records with her 10:39.15 (although Brittany Sedberry ran 10:19.30 indoors in 2006). Record-setting weekend for Middle Township discus specialist Mooers!!! Nothing like a 15-foot PR to make your weekend. That’s what Middle Township senior John Mooers pulled off at the South Jersey Group 2 meet at Central Regional. Mooers extended his discus PR from 170-11 to 185-11, No. 6 in South Jersey history, a meet record and a Cape May County record. The previous meet record was a 185-0 set by Bridgeton’s legendary Braheme Days Jr. at the 2013 meet. Mooers’ PR coming into his senior year was 163-3 from last year’s sectional meet, where he placed second. He extended it to 170-11 when he won the Woodbury Relays. The only other throwers in New Jersey over 180 feet this year are Sean Brennan of Union Catholic, who threw 182-2 at the Parochial A North meet this weekend, and Kevin Benson of Toms River North, who threw 180-2 at the South Jersey Group 4 sectionals. Mooers is the No. 1 seed in the Group 2 state meet by more than 20 feet. The next-best Group 2 throw at the various sectional meets was a 164-3 by sophomore Jordan West of Rahway at the North 1 Group 2 meet. The Cape-Atlantic League has always been a hotbed for throwing, and not surprisingly four of the top six discus throwers in South Jersey history are from the Cape-Atlantic.